LOOKING FOR A GREAT SCOTTISH WEDDING BAND FOR YOUR WEDDING, PARTY OR LIVE MUSIC VENUE? Scottish-based Big Tuna is a four man, rock ‘n rolling, good-time-having live Scottish Wedding Band. Big Tuna specialise in weddings, parties, club events and all other types of live rock music performances. They play a broad repertoire featuring the music of the world’s greatest rock artists, covering the 1950s right up to modern day acts. 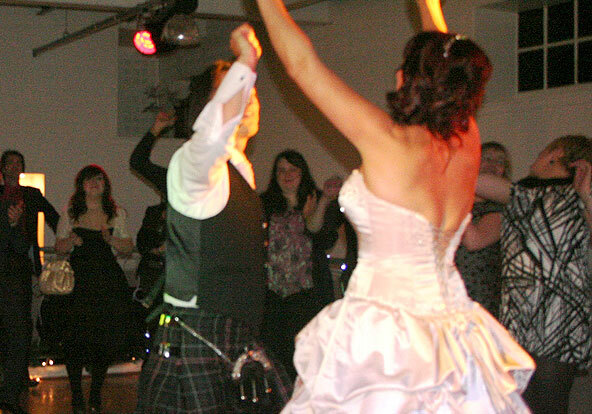 Since forming in 2003, Big Tuna has established itself as one of Scotland’s top live wedding bands and rock cover acts. The band’s current set list features a great range of popular classic and contemporary rock songs, ideal for great for creating a party atmosphere, designed to appeal to and entertain those who love real music played live. Along with the numerous live performances at live music venues, private parties and festivals across the nation, Big Tuna is also an experienced and accommodating Scottish wedding band. For all you about-to-become newlyweds looking for something a little less cheesy for your big day, Big Tuna can help make your wedding become one to remember for all the right reasons. They scrub up very well in their black suits and put on a lively, professional performance which is focused on ensuring the bride, groom and their wedding guests enjoy a great party. But don’t just take our word for it, check out their Wedding Band Testimonials and hear from the dozens of couples who’ve been delighted with Big Tuna’s performance at their Scottish wedding. Whether you are getting married in a Scottish city like Edinburgh, Glasgow or Dundee or thinking about a more rural location wedding such as the Highlands, Perthshire, Borders or Fife for your wedding then give them call or email them with your requirements. See their details on the contact page. In addition to being a great Scottish wedding band Big Tuna’s live music performances can bring any party, festival or live music event to life. They have played together for over a decade covering virtually all parts of Scotland and can be seen playing regularly at some of Scotland’s best live music clubs. To find out more please do get in touch. See their details on the contact page. Or visit our Facebook page. If you would like more info on the band or would like to speak to us about a booking, please contact Bill Shaw.